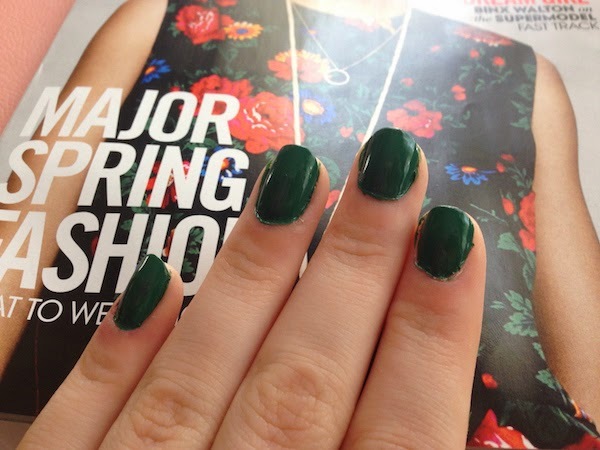 This winter I have been on an absolute hunt for a forest green nail polish. 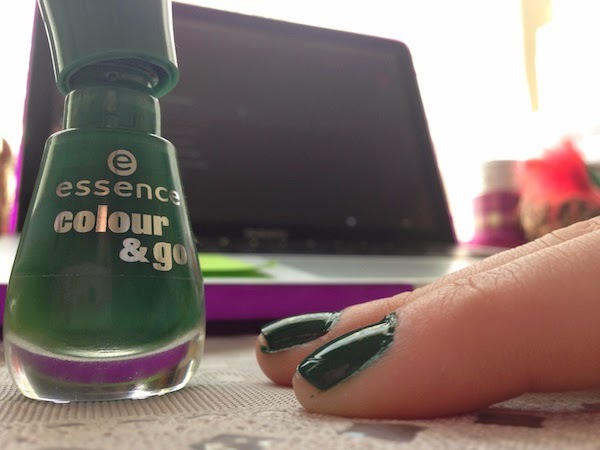 Not frosty, not matte but just a lovely deep green color. I am happy to report that I have succeeded! While in Ulta last week I was doing the always needed browse through every isle and I came across the Essence end cap display. I hadn't purchased anything from them before but I was immediately drawn to this polish. Not only was it the exact color and finish I was looking for but it was $1.99! At that price tag I had fairly low expectations but it simply being the color that I so badly wanted decided to try it out. I am happy to report that its actually an amazing formula as well. After one coat I could have let it be ,the pigmentation was so lovely, but I decided to go in for a second layer just to seal the deal. It has a very nice gel like finish as well. 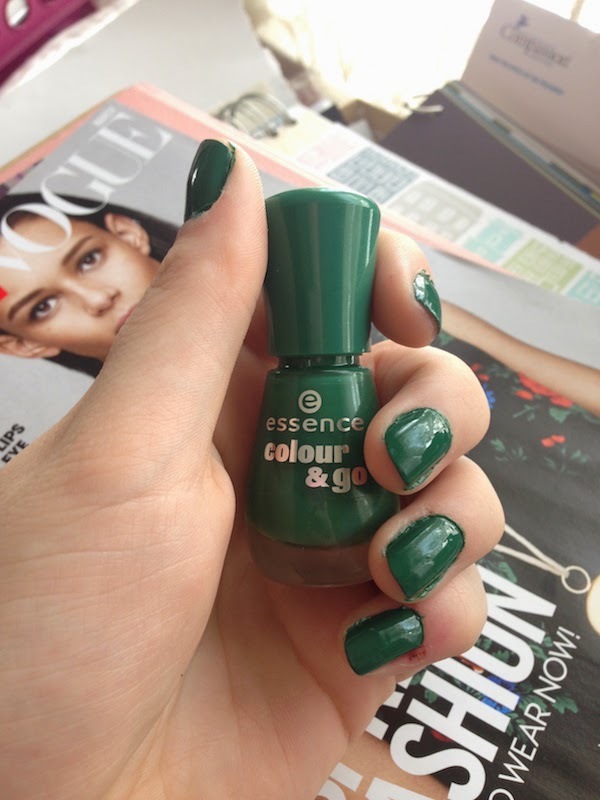 All that to say that the Essence Color & Go Polish in The Green & The Grunge is a fantastic polish and I look forward to trying out more colors in the future!